Many a time, we put the cart before the horse. Instead of staying with God and His word so to get clear direction on what we are to do, we jump out- either ahead of God or entirely in the wrong direction. Not too long ago, I said to a friend that it would be share waste of precious time to go and spend a whole day waiting and reading all the Newspapers in the office of a Commissioner who the Lord has revealed would not be on his seat till 4.00pm. Wisdom will tell me to get there at 3:45pm, and we will walk into his office together, transact business and be on my way! One of the things that fascinate me about the Bible is the accuracy with which some people have been able to hear from God.i am also thrilled by the faithfulness of God in bringing to pass what he has said (see Jer 32-36, Ezek 20:35; 1Kg 8:56). in addition, knowing the mind of God will prevent us from operating under closed heavens, and failing to recognize opportunities. it will also prevent us from making mistakes (1 sam 9:18-20; James: 1-4; 1 Cor 1: 25). besides all the foregoing, it will also save us from being deceived or manipulated by several confusing voices in our world of today. 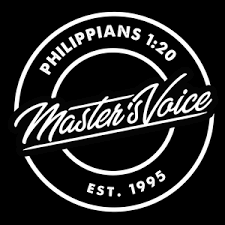 for the Christian Worker to whom in particular, several destinies are linked, failure or inability to discern God's voice meany will perish, be misled, and waste away. this applies also to all in leadership positions whether at home, in church,government, or society. one of the basic things we know God for is that He as a loving Father. the question then is, what does the voice of a loving and caring father sound like?' Among others, it gives direction (see I Sam. 23: 1-5; 9-12; 11 Sam. 2:1; Ps. 32:8). Also, it warns (see Mt. 2:12-15; Ezekiel. 18:30-32). In addition it disciplines (see Heb. 12:5-12). The father's voice is also caring, giving assurance, and encouragement (see Isa 41:8-16;). A loving father's voice should express love, and protection Eph. 2:4; 1 Jn. 3:1).